When I was searching for images for my design fantasy series, I came upon this project on Young House Love. 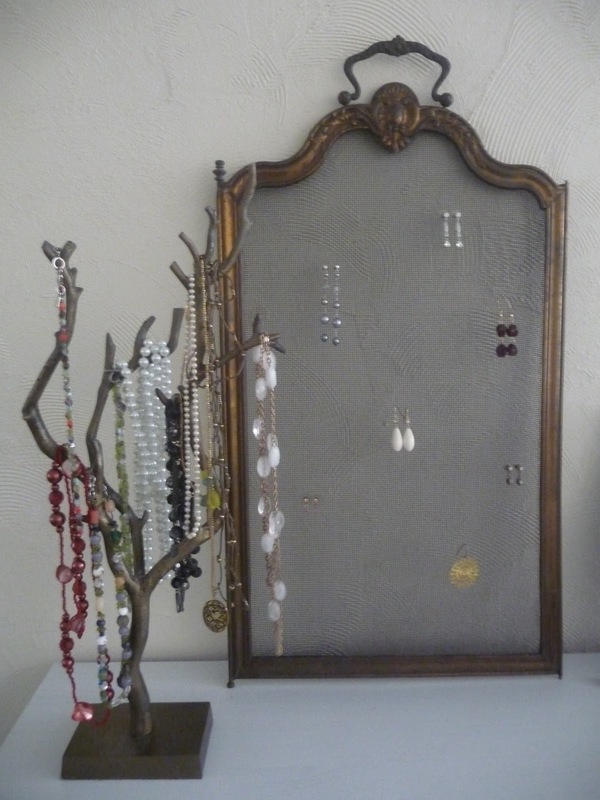 The post featured a story about turning an old window screen into a cute earring and necklace holder. 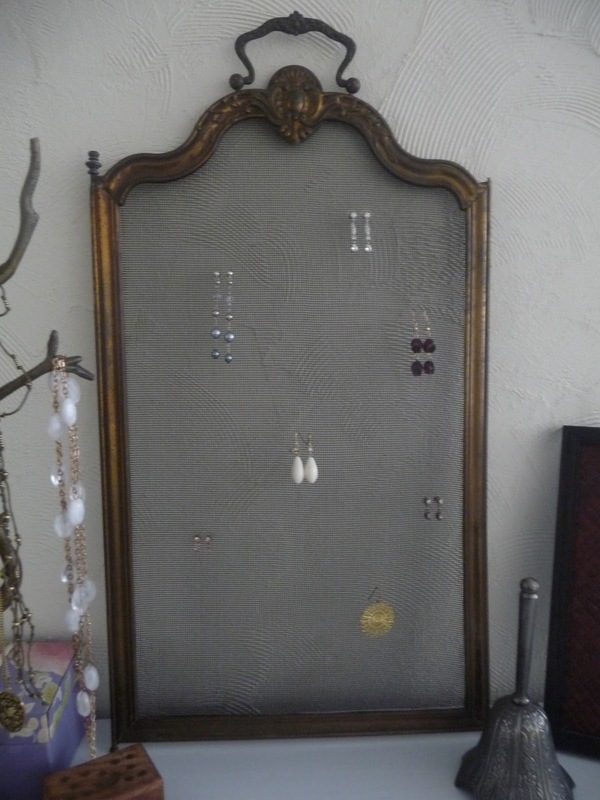 We have three panels left, so if anyone wants their own earring holder, let me know and you can have one! Adorable!! Great idea! If you don't have any other takers, I wany one! ps I like your new style/format. Goes with your blog title really well. Thanks Jess! I'll save you number 3. You can take it home with you when you come out for Christmas! It's great to do a "give away" , an incentive to read right away! I should have made this a contest! comment to enter, tweet it for an additional entry, then I put the names in a hat and pick 3 winners. Next time. I LOVE this! Great idea! 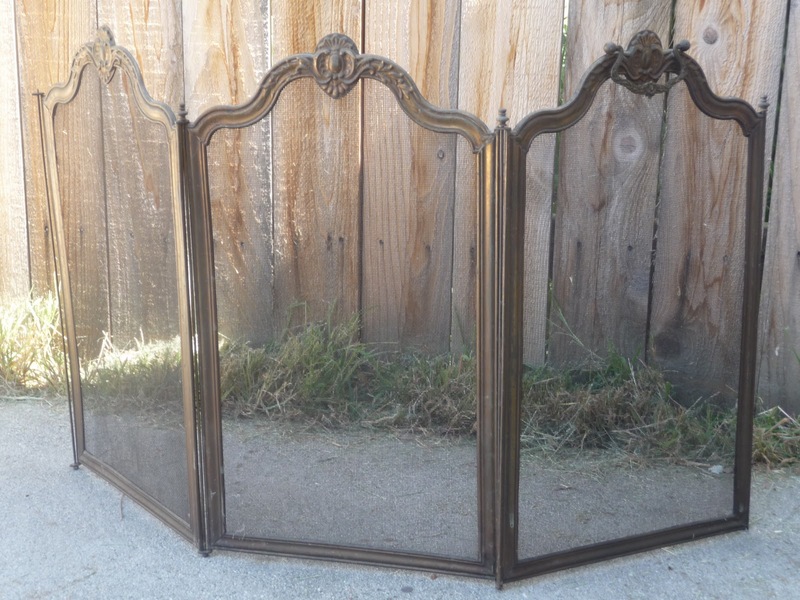 I'll keep my eyes out for something like this– lets go to the Pasadena flea market next month?! 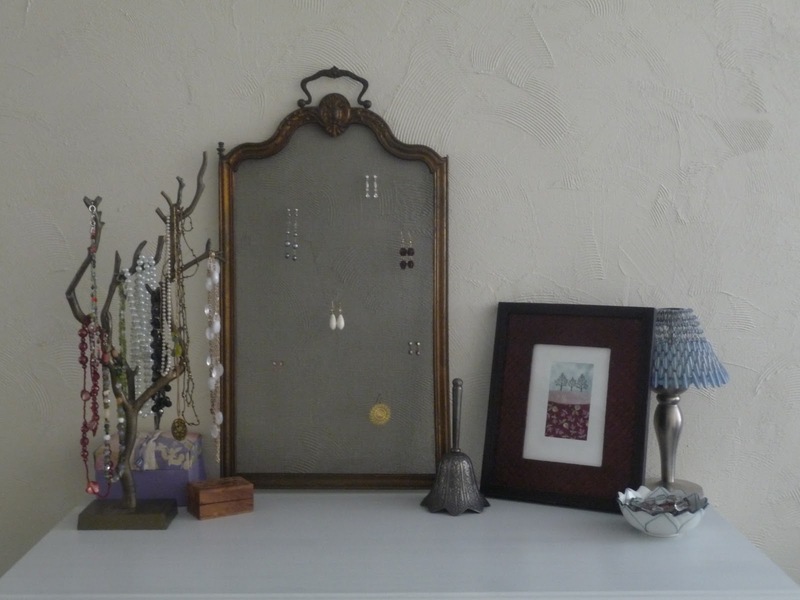 I can make you some more earrings! 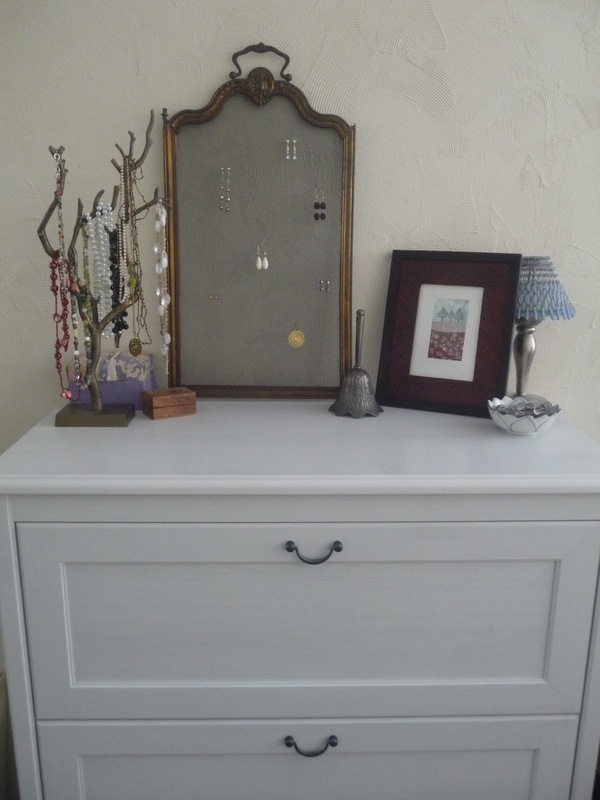 You can come over and pick out what you want, and I will make it for you!